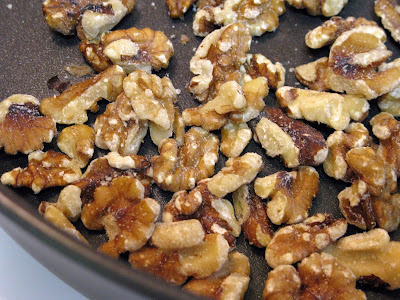 In a large frying pan toast the walnuts or pecans. I had walnuts. Once you smell the nuts, they are done. Take them out and chop. 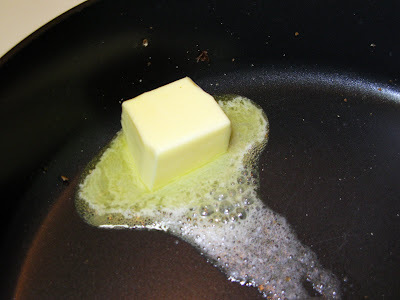 In the same pan (I don’t like dishes) melt the butter. Once melted, add the chicken broth and carrots. Add brown sugar, because everything is better with brown sugar. 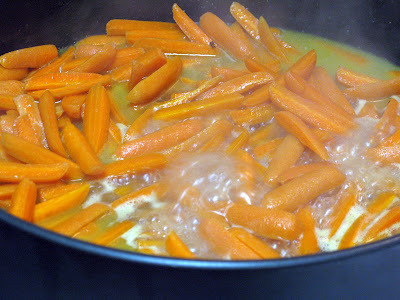 Simmer around 10 minutes or until the carrots are tender. 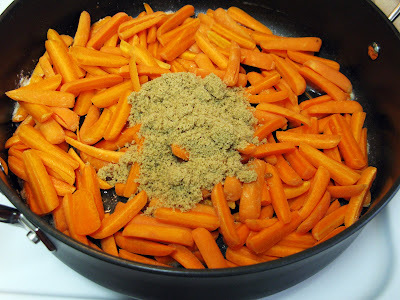 I like the contrast of the crunchy nuts and carrots, so I cook them until they are a little soft. Put a lid on the pan to speed up the process. 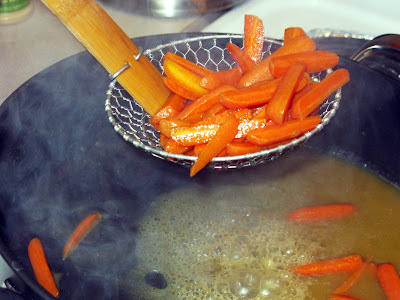 If the carrots are done cooking, but there is still a bit of broth left, remove the carrots with my mom’s favorite kitchen tool. 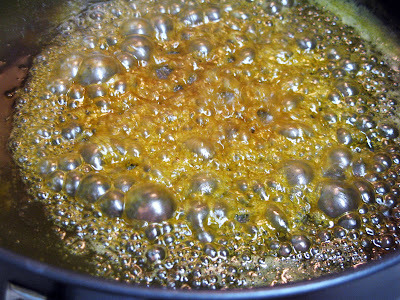 Turn the heat up and let the broth and sugar reduce until nice and caramely. 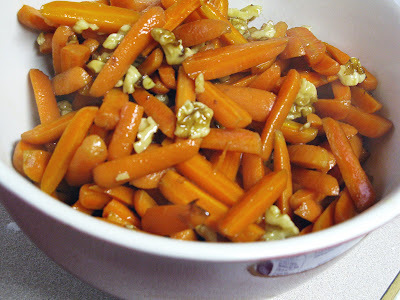 Poor over carrots, add nuts, stir. 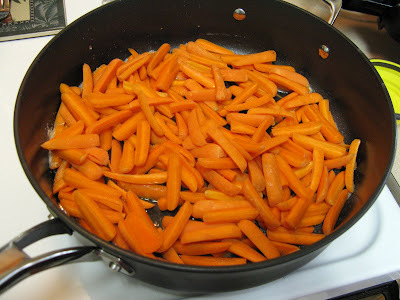 You know, I make my carrots with white sugar and ginger and sometimes almonds - now I really want to try them this way. I love brown sugar! Welcome to The Hive! The nuts must add so much to this yummy carrot dish. Brown sugar is my favorite ingredient. Yours look good enough to eat. I make this a lot and love it! If you add a little bit of ginger, it gives them just the right amount of kick to go with the sweetness of the brown sugar.